Our mission is simple: QUALITY WORK AT A FAIR PRICE! When you look at these many features, you’ll see our Value Series 14-SEER Air Conditioners deliver quality and value. Strong, long-lasting painted louvered steel cabinet. The motor mount extends the service life of the fan and motor while reducing sound and vibration. Air is discharged upward away from bushes and shrubs. The discharge pattern of the top grille provides minimum air restriction, resulting in quiet fan operation. The base pan encourages drainage of condensation while reducing corrosion. All controls are accessible by removing one service panel. 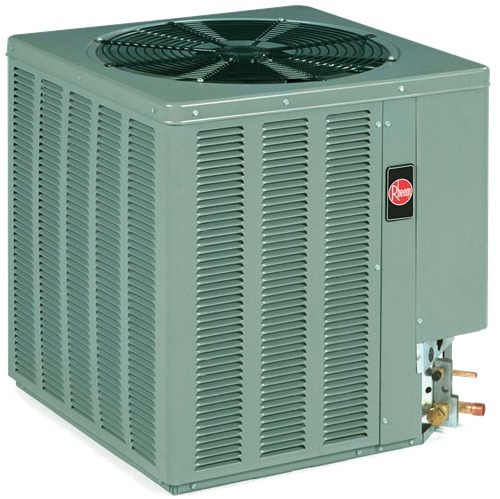 Removable top grille provides access to the condenser fan motor, compressor and condenser coil.